If you are interested in forming a limited liability company in Connecticut and could use a hand in getting the paperwork filed, please see the instructions printed below. If you’d be interested in a little more information, like an discussion of the pros and cons of choosing an LLC for your entity, instructions on getting an EIN for banking and tax purposes, as well as sample LLC operating agreements and forms, check out our kit available for $34.95. The URL, or web page address, for this form is as shown below. Note that you will need to fill it in online prior to printing it. Start filling out the form by giving the name of the person the state should contact if they have questions regarding your application. In most cases that person will be you. New England Explosives Limited Liability Co. In the next line list the LLC’s principal office. This is the office where a full and current list of all members is located at all times. A P.O. box is only acceptable if provided as an additional address. 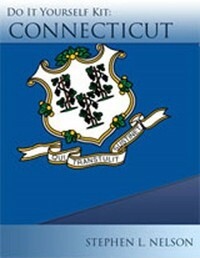 Connecticut wants to know the name and contact information for a real person, or business entity, within the state of Connecticut whom can act as the contact person should the state have questions or concerns about an LLC’s operation. You can pay someone else to be this statutory agent, but it’s really easiest and cheapest to just be your own registered agent. Accordingly, enter your name, business and residence addresses into boxes labeled “Statutory Agent Name and Address.” You must also sign the, “Signature of Agent” line to accept this appointment. LLCs can be managed either by all of their members, or owners, or they can be managed by only one or some of their members, who are in this case called managers or manager-members. If your LLC will be managed by a manager(s) check the line listed under “Management.” If your company will be managed by a member(s), skip this section. Print your name and sign the form to accept the appointment as organizer for the limited-liability company listed. Processing lead times vary, but in general, it can take several weeks to get your LLC certificate back from the Secretary of State’s office. You may expedite service for an additional $50.